Milwaukee is a great place for wedding photography. There are many great place to have a wedding and also to take some awesome portraits. This wedding was held at the Milwaukee Yacht Club. It was later in the year and the ceremony was held later in the afternoon. During the reception I had stepped outside and saw how neat it looked looking back in at the dancing. 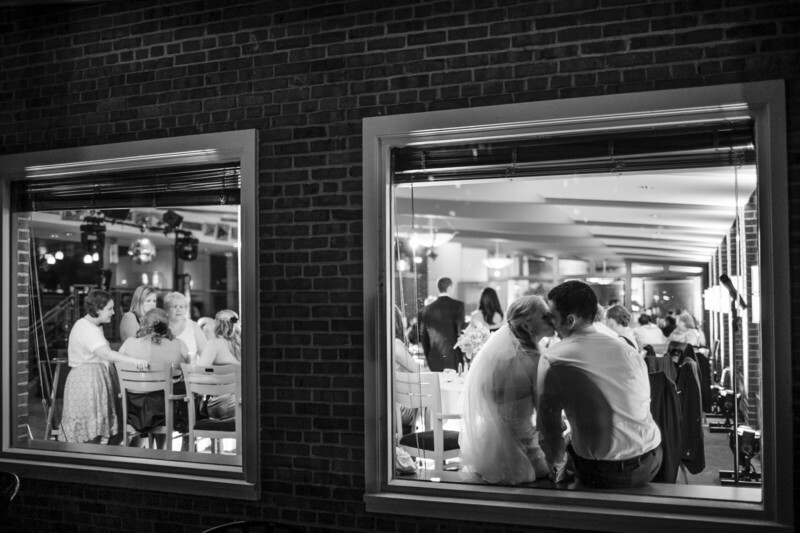 I had the couple sit in one of the windows and kiss. 1/30; f/1.4; ISO 1000; 35.0 mm.